(Emmanuele Barbieri, Rorate Coeli – September 21, 2018) In the first few weeks of September, the American blogger Rod Dreher toured Italy to present his book The Benedict Option, A Strategy for Christians in a Post-Christian World, described by David Brooks of the New York Times as, “the most discussed and most important religious book of the decade”. 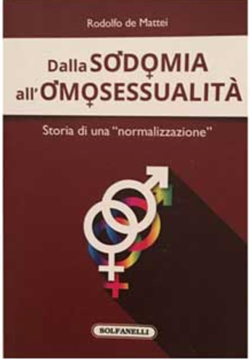 The book which appeared in the United States in 2017, was translated into Italian by Edizioni San Paolo. In the Italian tour, Dreher’s work had some illustrious presenters, such as Monsignor Georg Gänswein, Prefect of the Papal Household and Secretary to Benedict XVI, the Director of the Osservatore Romano, Giovanni Maria Vian and the Bishop of Reggio Emilia-Guastalla, Massimo Camisasca. Some questions spring to mind spontaneously: Why have these figures connected with the ecclesiastical establishment been induced to publicize Dreher’s book, when they have regularly ignored the works of the most orthodox Catholic writers in Italy? Why have none of these presenters mentioned and stigmatized the fact that Dreher is guilty of unhappy apostasy, having abjured the Catholic Faith in 2006 to join the schismatic Orthodox Church? The answers are perhaps in the American journalist’s basic thesis itself. Dreher’s idea is that Christians who want to maintain their faith need to segregate themselves from the world and live in small communities, like the Trinity Presbyterian Church in Charlottesville, or the “Compagnia dei Tipi Loschi” of San Benedetto del Tronto (but Gian Maria Vian suggested he include also Enzo Bianchi’s “Communità di Bose”). 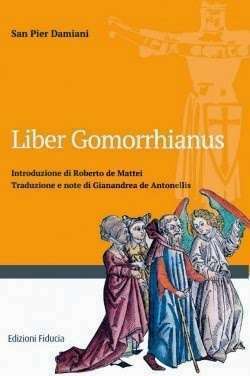 Its point of reference is the action of St. Benedict of Norcia, reinterpreted according to lectures of the Scottish philosopher, Alasdair Macintyre and the “creative minority” of Benedict XVI. Dreher’s exit strategy, however, risks being an option for the catacombs: the illusion that is, of saving oneself, by forming privileged islets where you live the faith in the family and small communities, forsaking public combat in the modern world. The “catacomb mentality” is not properly an escape from the world in the sense of withdrawing into hermitages, grottos or monasteries, it is rather the stance of those who withdraw from the battlefield and dream of being able to survive on personal testimony alone, without facing the enemy publically. The Benedict Option seems to be a fruit of that rejection of the militant notion of Christianity, which became widespread after the Second Vatican Council. Walls must be substituted by bridges, since there are no contrasting visions of the world and the different Christian confessions, Catholicism, Protestantism and Orthodoxy can join together against the dictatorship of relativism, by basing themselves on a generic sentiment of transcendence, which sets aside the supernatural action of grace. “Man will never reach perfection except through Grace” as Abbot Michael John Zielinski rightly said, when presenting The Benedict Option at the “Giornata del Timone” which took place in Staggia Senese on September 15. But no authentic supernatural Grace can be obtained by those who have separated themselves from the Catholic Church, which is the one and only Church of Christ, the One and Only “Way, Truth and Life” in this crisis of the modern world. And if Dreher could not stand the wave of scandals which have overwhelmed the American Catholic Church and has lost the faith, it is precisely because he had no recourse to the highest source of Grace. What kind of lessons can he give to Catholics today who, in the [midst of] the storm, remain firmly attached to the only Bride of Christ?